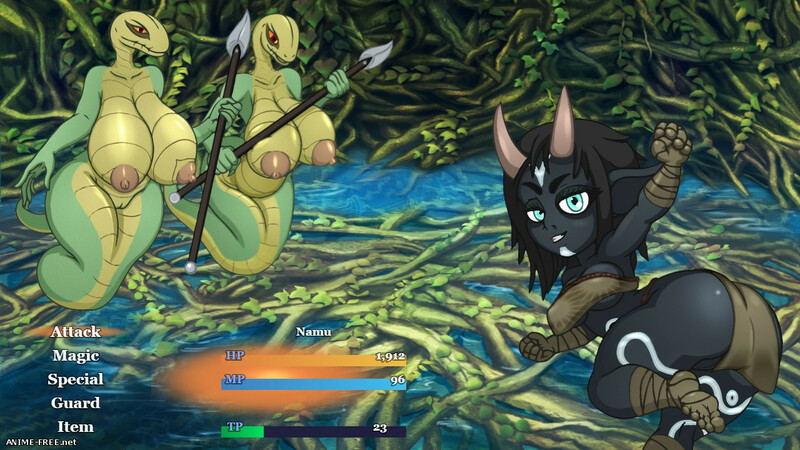 Описание: "Paccsu - Namu's Journey is a LEWD RPG game set in a fantasy world called Paccsu. 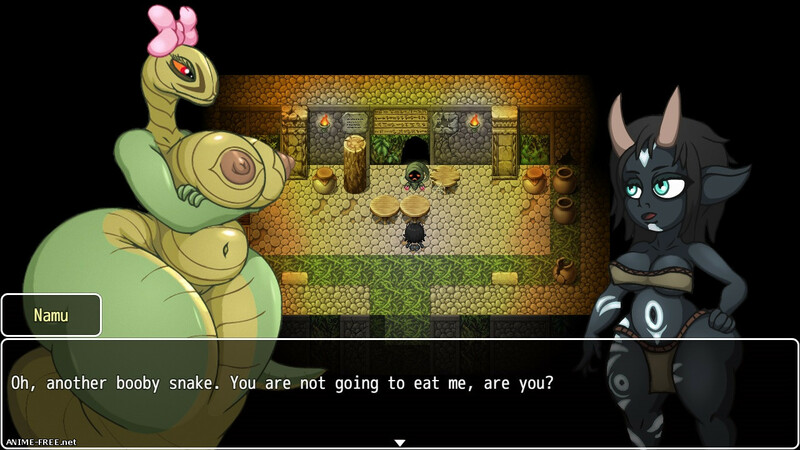 You take control of a Muh'kean girl called Namu, who was taken away from her birth parents at a young age to be a part of a holy ritual in Muh'kea'sdesperate attempt to fight The Undying King, the King of Zombies. She was taken to Kingdom of Ruo'ho by a human refugee couple to live by the shadow of the mystical Tukeva Tower, where she would live her life, train and grow strong. 18 years later, Namu is ready for the adventure with the help of her adoptive parents. Namu has no idea what happened in her past or has any memory of it or what kind of power she holds inside her. Soon, Namu finds herself in the middle of a crisis that threatens the whole world. 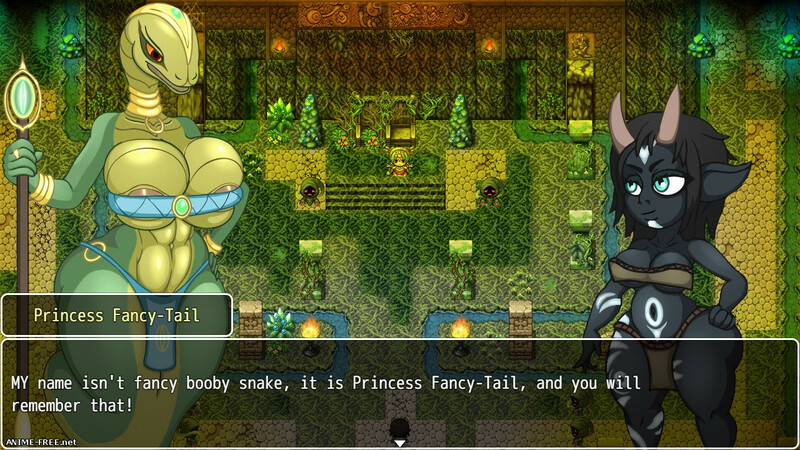 Namu's journey begins when she is sent to investigate the mines where dangerous and bootylicious snakes from the Clan Tiss'i have been attacking the innocent human workers. It's Namu's job to save the world. Тупые отбросы сверху, которые не шарят в годноте. что нужно сделать в таверне , когда выполняешь вторую работу ? Нужно взаимодействовать со столами, которые тебе покажут. Типа разносить напитки.